H. Rick Bamman - hbamman@shawmedia.com Duke's on the Water restaurant manger Dominic Blake works to stock the kitchen on Wednesday, May 10, 2017 prior to opening the new location at the Three Oaks Recreation Area in Crystal Lake. H. Rick Bamman - hbamman@shawmedia.com On opening day Duke's on the Water restaurant manger Dominic Blake carries a bread order into the kitchen on Wednesday, May 10, 2017 at Three Oaks Recreation Area in Crystal Lake. H. Rick Bamman - hbamman@shawmedia.com Three Oaks Recreation Area employee Hayley Frericks clans window at the marina building on Wednesday May, 10, 2017. 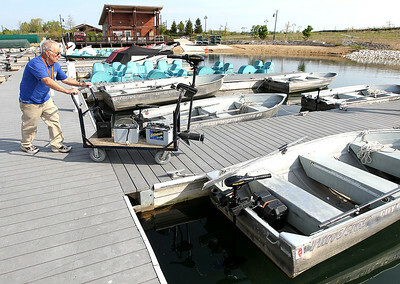 H. Rick Bamman - hbamman@shawmedia.com Three Oaks Recreation Area employee Albert Roehrig wheels extra bateries to the retal boats Wednesday, May, 10, 2017 in Crystal Lake. 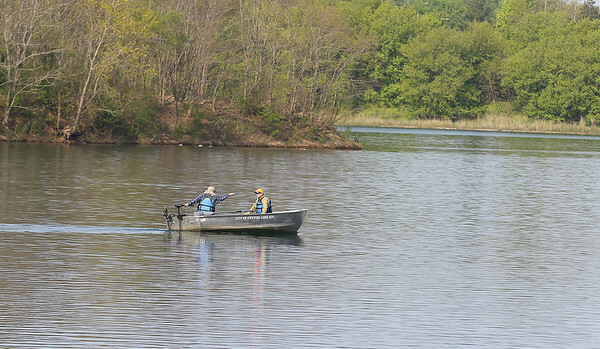 H. Rick Bamman - hbamman@shawmedia.com A pair of fishermen make their way to a spot Wednesday, May 10, 2017 at the Three Oaks Recreation Area in Crytal Lake. H. Rick Bamman - hbamman@shawmedia.com Three Oaks Recreation Area employees Hayley Frericks (left) and Sam Lundgren work at the boat rental building on Wednesday, May 10. 2017. 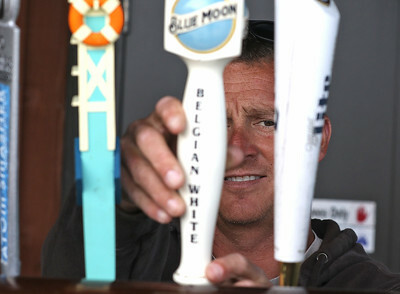 H. Rick Bamman - hbamman@shawmedia.com Steve Uhlarik installs beer taps at the Quarry Grill at Three Oaks Recreation Area in Crytal Lake. 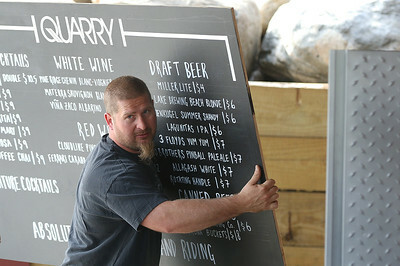 H. Rick Bamman - hbamman@shawmedia.com Nick Palek carries a Quarry Grill menu board to be installed on site at the Three Oaks Recreation Area in Crystal Lake. On opening day Duke's on the Water restaurant manger Dominic Blake carries a bread order into the kitchen on Wednesday, May 10, 2017 at Three Oaks Recreation Area in Crystal Lake.